In the past we have looked at an island that doesn’t exist, islands being formed, islands combining to form a bigger island and a disappearing islet. 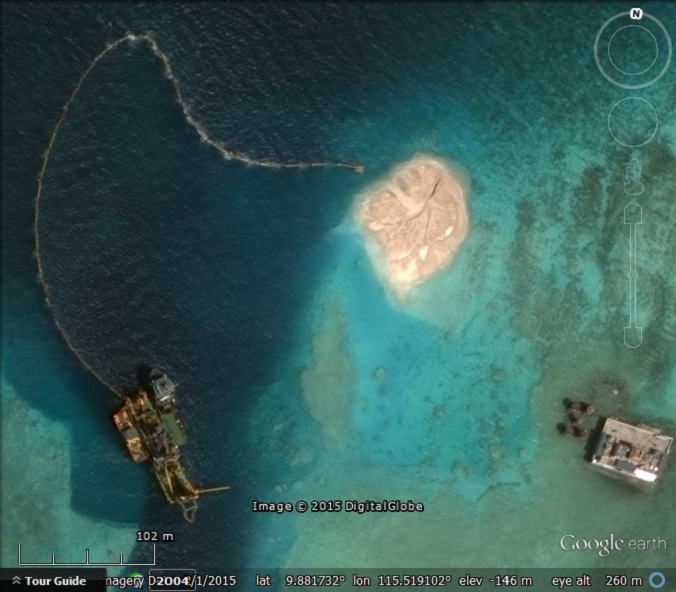 Today we are looking at how China is turning reefs into islands. A couple of months ago there was a story about China building an Airport and other military installations in the Spratley Islands. 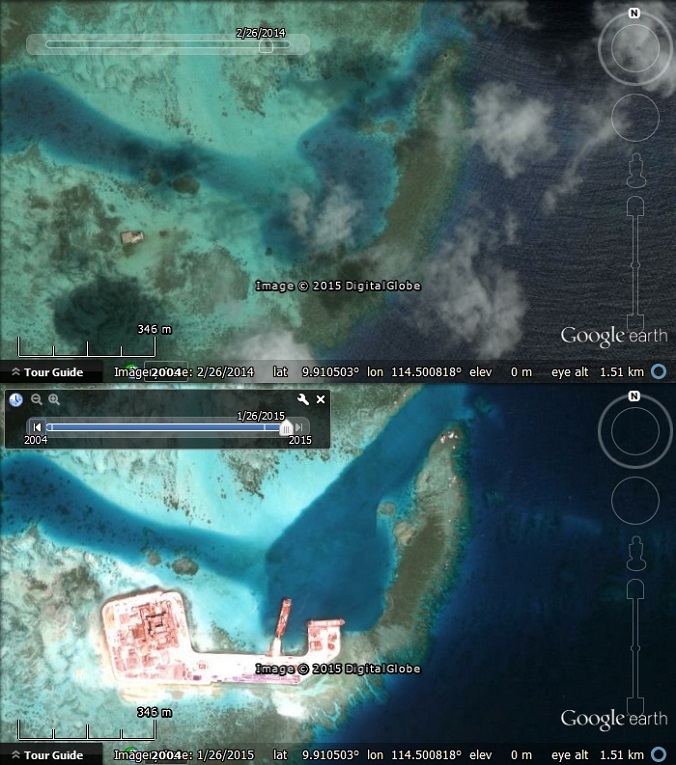 However, at the time, the relevant satellite imagery was not available in Google Earth. 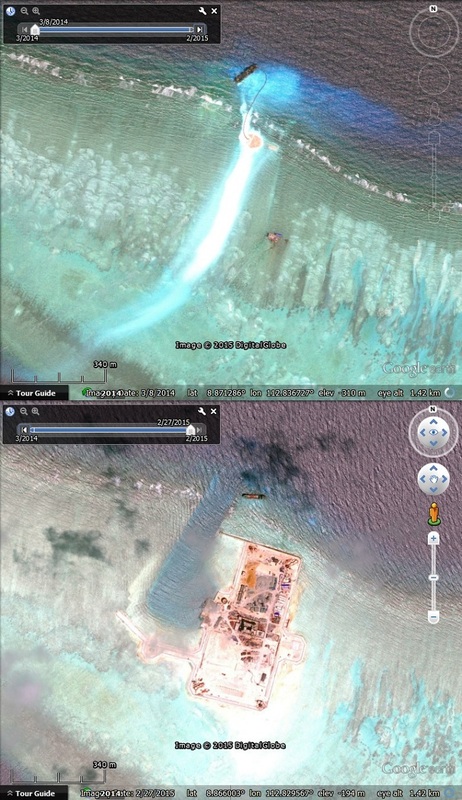 In April, Google added imagery for most of the Spratley islands, but not the most interesting one – Fiery Cross Reef. However, Google did add it during May, so now we can have a look at it. 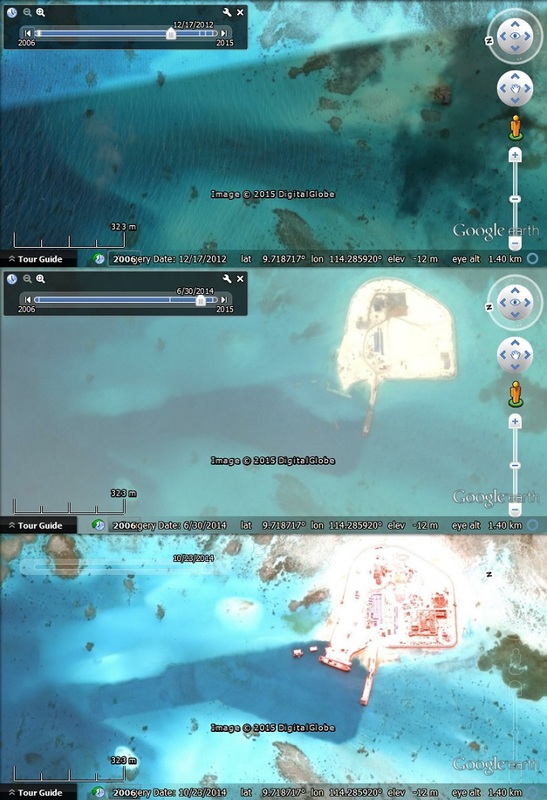 For more on the story and detailed analysis of what can be seen in the imagery see this story, which covers activity throughout the Spratley islands, and this one that focuses on the airport on Fiery Cross Reef. Fiery Cross Reef – an airport and harbour being constructed. Johnson South Reef – buildings and harbour being constructed. Hughes Reef – buildings and harbour being constructed. Gaven Reef – buildings and harbour being constructed. Cuarteron Reef – buildings and harbour being constructed. 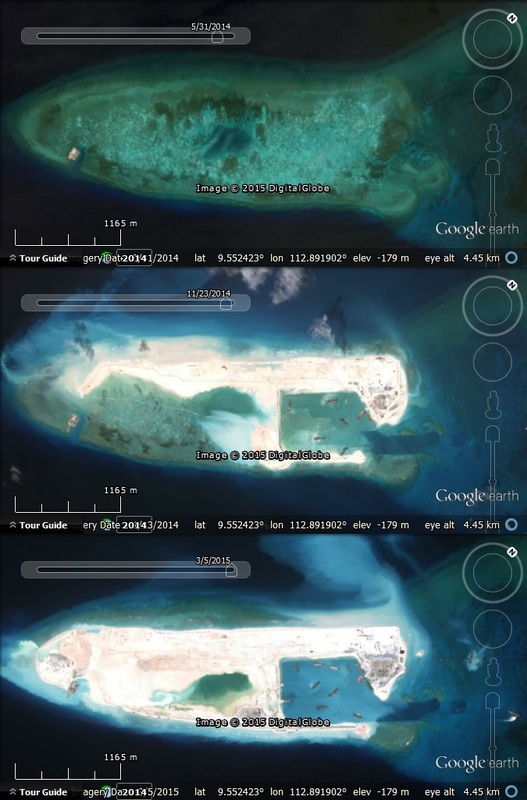 Mischief Reef – land reclamation just starting. 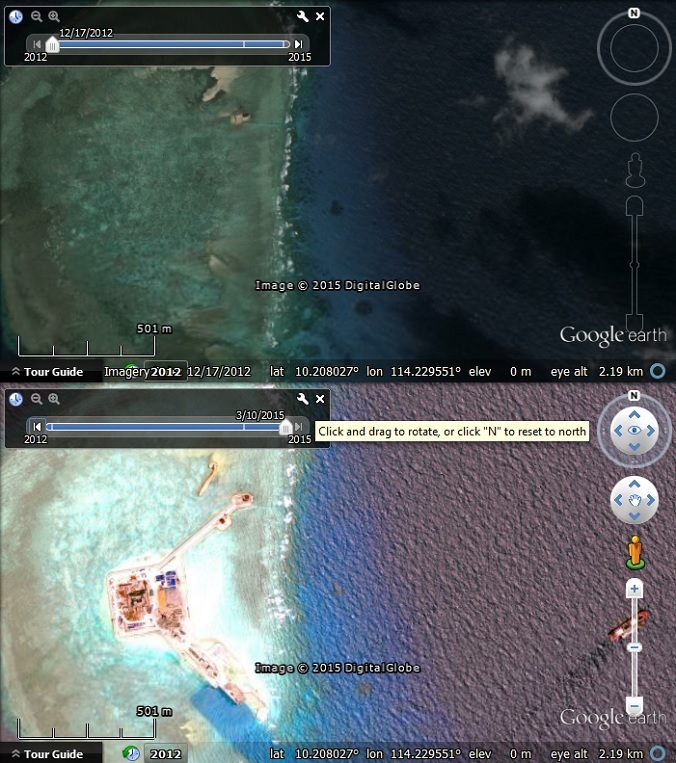 Subi Reef – land reclamation just starting. We highly recommend looking at the locations in Google Earth as there is plenty to see. To find them, download this KML file . Also interesting is that several of the images have too much red, which looks especially bad where there is land. We believe this is colour correction gone wrong as a result of the strong blues and greens of the ocean.